"Thanhouser silent film with Peggy Reid"
Thanhouser Company scene with three actors in a carriage. Peggy Reid in center. “Santa Anita” on sign on building in background. 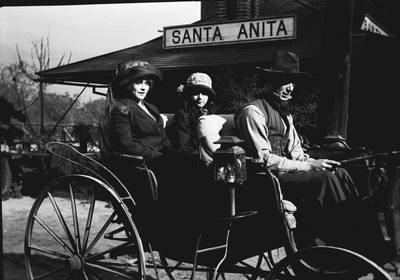 Gregory took this production still of filming in California.